The main organization of ethnosport in the world is the “World Ethnosport” Society, it was created and registered in 2012 in Montreal, Canada. The founding president is the ethnosport theory autor, the Russian scientist Alexey Kylasov. 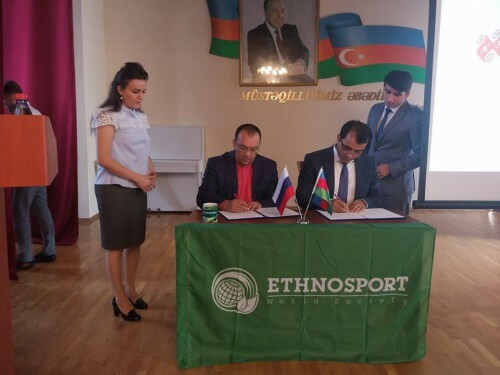 In 2018, the “World Ethnosport” Society became an observer in the Permanent Consultative Council of the Intergovernmental Committee for Physical Education and Sport (CIGEPS) of UNESCO. “World Ethnosport” Society recognizes that the development of traditional sports and games in modernity is part of the “Sport for All” movement and cooperates with TAFISA. The Memorandum of Understanding is signed! 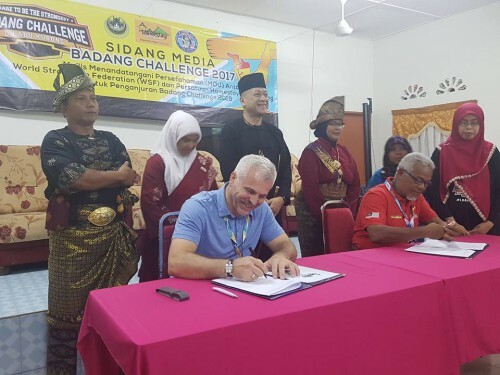 WSF/Ethnosport & Badang Challenge. Official patron – Minister of culture and tourism of Malaysia.